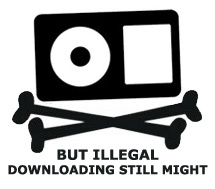 3 responses to "The ethics of music downloads"
Must admit, I’ve downloaded a lot of music over the years. I do buy stuff too from time to time, and I do feel somewhat guilty about it. Justifications are easy to come by of course, yet when my favourite bands and artists themselves say that it’s taking bread out of their mouths, I feel ashamed. My first inkling was probably Gillian Welch’s song, Everything is Free. After listening to that, I cut right back on what I downloaded. As far as David Lowery in particular is concerned, well I’ve been following Camper Van Beethoven since pretty much when they first started, and have bought several of their albums, and downloaded others. In fact I taped a lot of their stuff of a friend. It took 90 minutes to fill a TDK D90 with two albums. It also took a bike ride of 2 miles each way, and an evening spent having fun getting drunk and stoned and listening to the albums, which my friend had gone out and bought. These days of course it would take about 5 minutes sitting alone in my room. 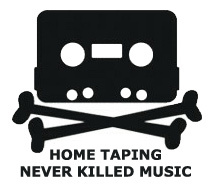 Music means a lot less nowadays. What we obtain too cheaply and all that. Anyway, the Lowery article was excellent. I actually read something from him a couple of weeks ago in a similar vein but much more angry. I splurged a few years ago downloading lots of stuff I owned on vinyl, but adding the extra albums I felt I should have bought back then or used to have taped copies of. When they arrest me for it I’ll show them the photos of all my vinyl, much of which has since gone. Now it’s just you-tube to try-before-you-buy. Friends still send me copies of albums. I still think that’s fine. A nice chap sent me a CD of an album by The National a year or two ago. I’ve bought all their albums now. That route to new music sales still works. I don’t download new albums and pretty much always buy music by the bands I want to hear directly from the band’s own website. I’m just basically agreeing with you here… I’ll stop. You’ll get too big for your boots and that would never do.